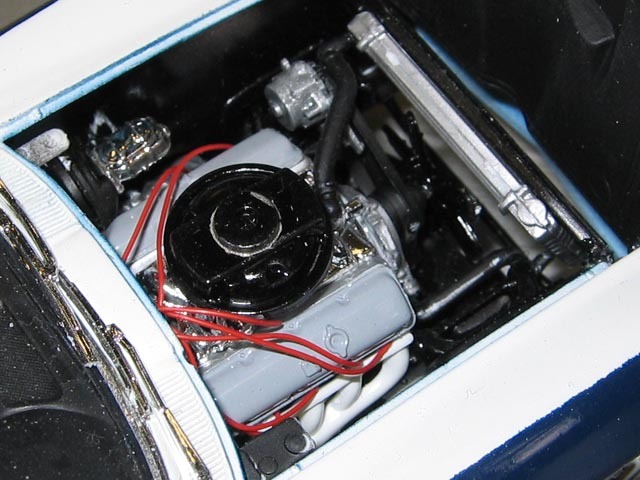 Gulstrand sent the Dana Chevrolet Vette's engine to Traco Engineering to be race prepped. Rich had it a little easier as the kit's engine already had the correct appearance. He had little more to do than spray on the right colors and add the sparkplug wires.